Lettore Masterizzatore CD DVD -RW Interno SATA 5,25" Colore Nero. This is only CD DVD RW Case Cover. It doesn't include any CD or DVD RW. IDE Laptop CD/DVD ROM External Enclosure case. High Quality IDE/PATA to USB External Enclosure Case. Supported Drives: DVD R, DVD RW, DVD-ROM, DVD-RW. Lettore Masterizzatore CD DVD -RW Interno IDE PATA 5,25" Colore Nero. 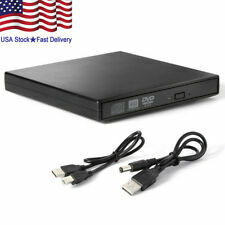 High Quality Laptop CD/DVD ROM IDE To USB 2.0 External Enclosure Case. This is only CD DVD RW Case Cover. It doesn't include any CD or DVD RW. High Quality Extendable DVD case (IDE). Supported Drives: DVD R, DVD RW, DVD-ROM, DVD-RW. Case only, NOT a completed external dvd drive/ Burner.100% Brand New,Plug and Play. Full compatible with USB 2.0 / USB 1.1.Power by USB, no external AC adapter needed. Support all SATA Optical Drive/Burner with 12.7mm OR 9.5mm height.Compatible with Windows 98 /SE / ME / 2000 / XP/ vista /windows 7 and work with all version MAC OS.Specification:Color: SilverDimensions: 5.2"(W) x 0.8"(H) x 5.5"(D)Weight: 60g Fit for all slot in style SATA interface DVD drive with 9.5mm or 12.7mm DVD drive/ Writer. It is special designed for for Apple Macbook, MacBook Pro, MAC DVD CD Sata Superdrive. No internal DVD drive included, case / caddy only.Package include: 1 x External CD DVD/RW Drive Caddy CaseNote: Light shooting and different displays may cause the color of the . Zoomansicht schließen. Sicher einkaufen bei. Alle Geräte werden getestet und gereinigt. Zustand: Gebraucht, 100% funktionstüchtig. hells_dells ist Ihr kompetenter Anbieter für gebrauchte EDV-Geräte. SLIM-LINE DVD -R/RW Blu-ray XL Panasonic SATA (UJ-272) [9.5mm]. - Play BD(Bluray disc),DVD,CD. (Derzeit nicht verfügbar). Slimline CD/DVD/BR. Panasonic Blu-ray drives are the industry's first, fastest, and most compatible Blu-ray drives. DVD-ROM Laufwerk Toshiba Samsung SN-108BB/DEMHF SATA Slimline für Laptop oder externes Gehäuse. Slimline SATA für optische Laufwerke in Notebooks, incl. SATA Kabel. SATA interface. SATA Tray-Loading. Geeignet für Dell Precision M4700, M4800, M6400, M6500, M6800. 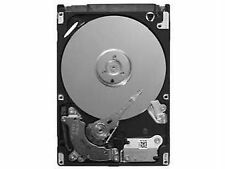 Lenovo ThinkPad DVDRW DVD±RW Ultrabay Slim Burner Drive UJ8B2 45N7457 45N7578. Lenovo Super Multi-DVD Rewriter (DVD Multi IV) Drive CD-RW DVD±RW SATA Burner UJ8B2 45N7457 45N7578. 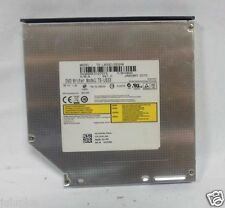 1 (ONE) LENOVO UJ8B2 45N7457 45N7578 DVD±RW DRIVE. Brenner DVD±RW für Latitude E6410. Geeignet für Latitude E6410, und nicht für 6400 Rheie ! 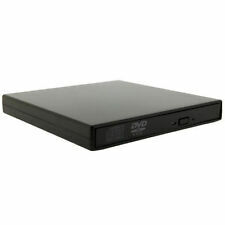 Original DELL DVD Brenner DVD±RW. The PX-891SAF 24X internal DVD/CD Super Multi Writer is Plextor's newly improved half-height DVD Writer. The PX-891SAF reads and writes DVD/CD at blazing fast speed of 24X. Plextor's unique drive design regulates the air flows, reduces the amount of noise created, and enhances writing and reading quality. LG GGC-H20N Super Multi Blu-Ray BD-ROM & HD-DVD-ROM DVD±RW- (±R DL) / DVD-RAM-Laufwerk intern. Lesegeschwindigkeit 40x (CD) / 16x (DVD) / 6x (BD) / 3x (HD DVD). Optischer Speicher DVD±RW (±R DL) / DVD-RAM / BD-ROM / HD DVD-ROM - 5.25" x 1/2H (13.3 cm x 1/2H). Dell Precision T3600, T3610, T5600, T5610, T7600. Zustand: Gebraucht, 100% funktionstüchtig. Alle Geräte werden getestet und gereinigt. Kompatibel mit Zoomansicht schließen. 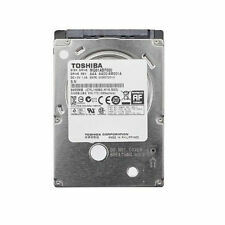 Toshiba Notebook DVD Brenner / Laufwerk SATA RW-RAM TS-L633C/TFHF A000051530. 2 x Low Profile Slotbleche Slot Blende zur Abdeckung für Gehäuse Low-ProfileEUR 1,7900. Toshiba A000051530 Notebook DVD Brenner / Laufwerk. Condition:Good Working and Good Condition. Read Speed 16X (DVD), 40X (CD). Write Speed 40X (CD), 16X (DVD or -) 4 DVD Dual Layer or -. ReWrite Speed 24X CD 5X DVD RAM, 6X DVD -RW, 8X DVD RW. Panasonic SW-9576-C refurbished Int. Multi Drive Black DVD-RAM DVD Burner. LECTEUR GRAVEUR de CD et DVD. Graveur Interne pour pc de bureau. Connectique SATA. Compatible DVD-R et DVD R. HTML clipboard. 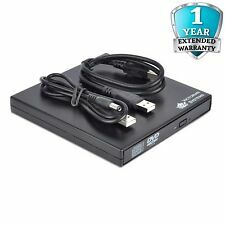 External CD DVD Drive USB3.0 NOLYTH USB C Superdrive External DVD CD /-RW Burner. Condition is New. Shipped with USPS Priority Mail. CONNECTS WITH MANY OLD LAPTOP. Also network sockets modules blanks. Condition:Good Working and Good Condition. SATA Interface (see photos). Panasonic Toughbook CF-30 Multi Drive. Genuine OEM Pansonic CF-19 DVD Multi Drive. Drive is used and in good condition. See Pictures. Interface: SATA. - May also work in any laptop using 9.5mm height SATA optical drive. 1 x SATA DVD DRIVE. Power Consumption (Typical): Sleep 5V : Max 25mA. Data transfer speed: Max. 33.3 MB/s (UDMA Mode 2).